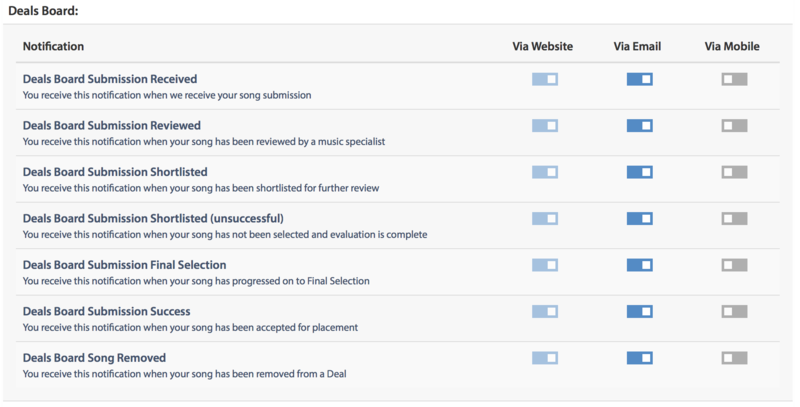 Songtradr's comprehensive Notification Center provides users with more transparency, alerts and up-to-date information on new opportunities as well as the status of a song in any submission process. To reach your Notification Center click the bell icon on the toolbar and then click Settings. From there, you can edit and customize all your notifications. Notifications will show up on the Toolbar at the top of the page on the bell icon. Notifications will pop up on your browser. 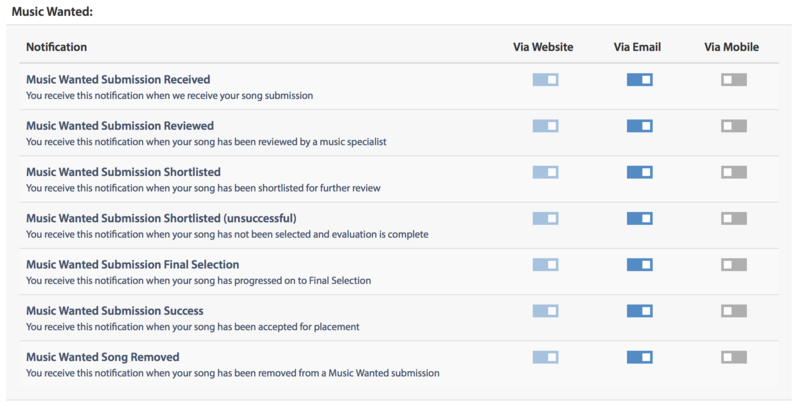 Notifications will be sent to the email account registered with Songtradr. Notifications will be sent to the Mobile Number registered with Songtradr.